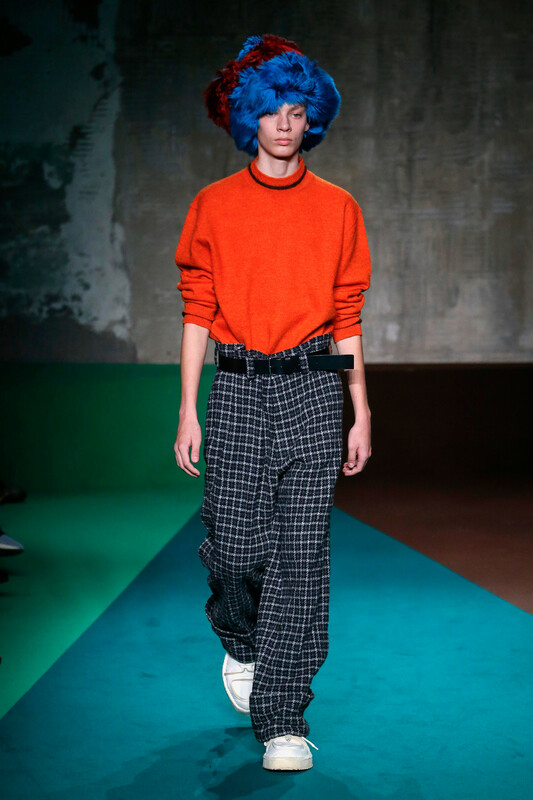 In Milan designers unfolded their colorful (in terms of models as well as the collection’s color palettes) stories for fall/winter 2017. Vivid, original and specifically youthful collections filled with statement items we can dream of in the months to come. 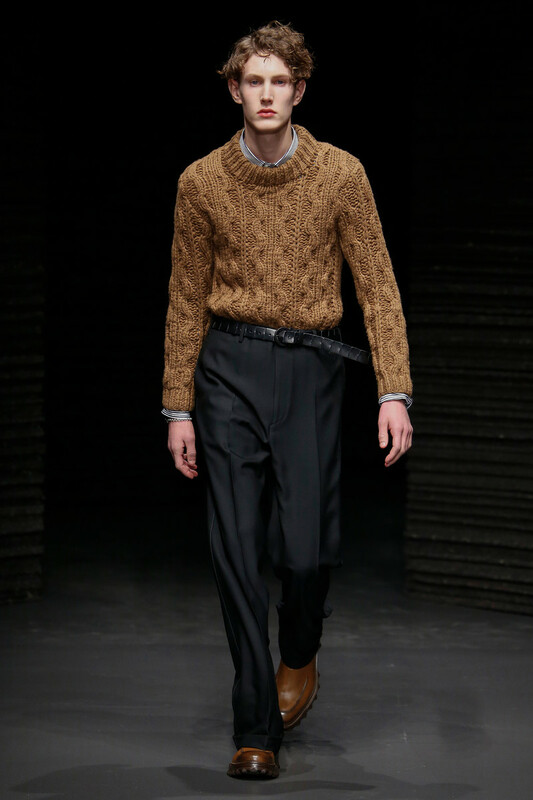 Collections indirectly referring to or hinting at the turbulent times we live in. 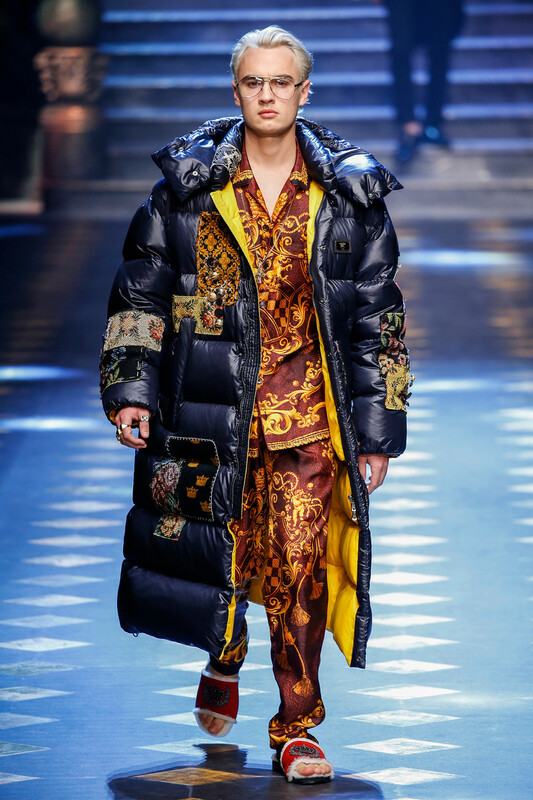 We can take a Prada-trip down memorylane to the seventies or we can dress like the millennial kids Dolce & Gabbana were addressing with their funky, streetwise show. Which ever style we pick, keeping warm will be the least of our problems once winter 2017 comes knocking. 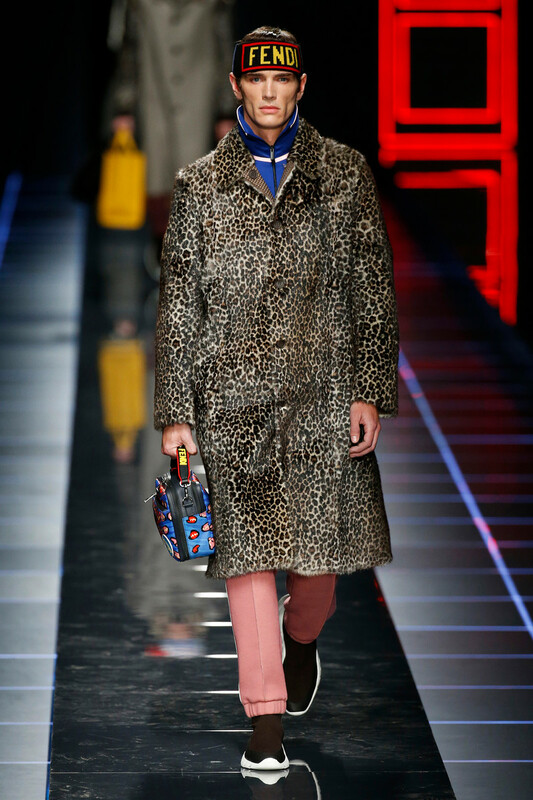 From Fendi and Marni to Prada and Moschino showed you can in fact look cool in something fluffy and furry. 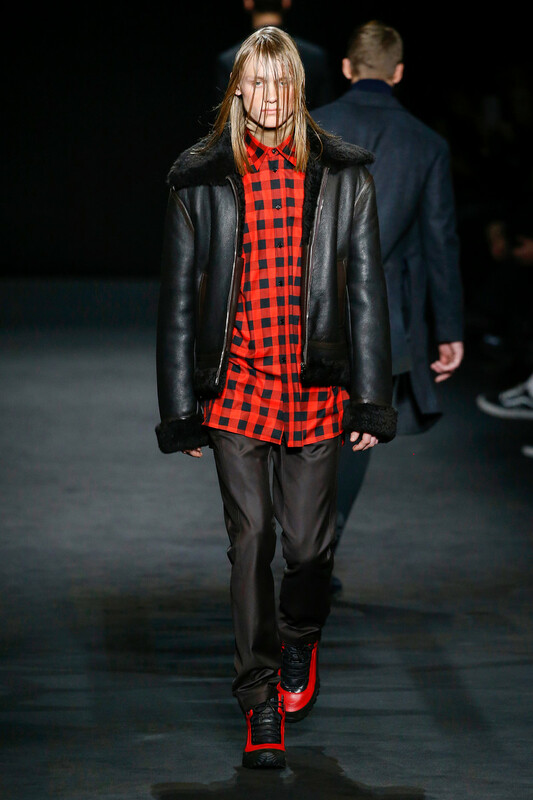 Curious to what else Milan presented us with? 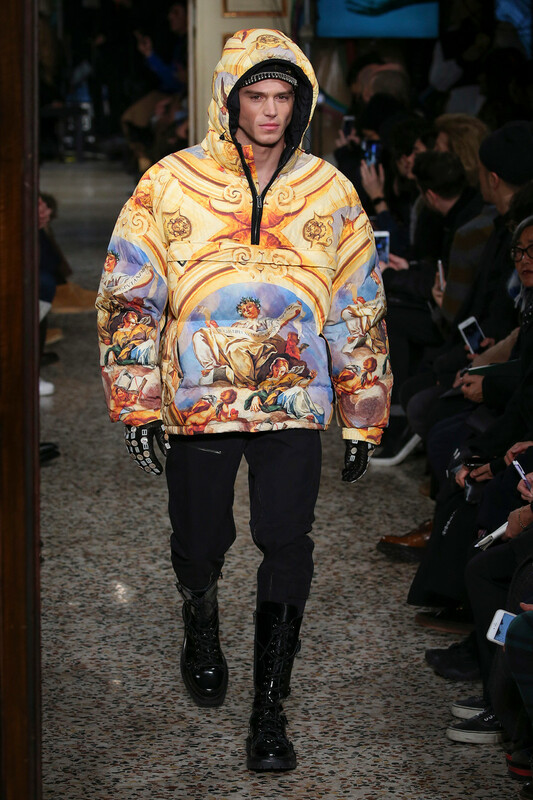 Here are our Milan Fashion Week Menswear FW2017 Highlights. 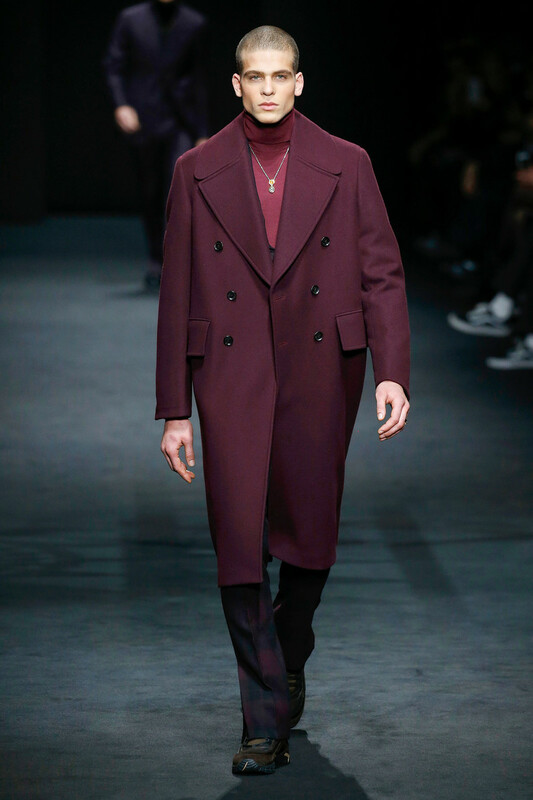 Curduroy and a palette ranging from brown, tan, rust and orange to blood-red and burgundy. 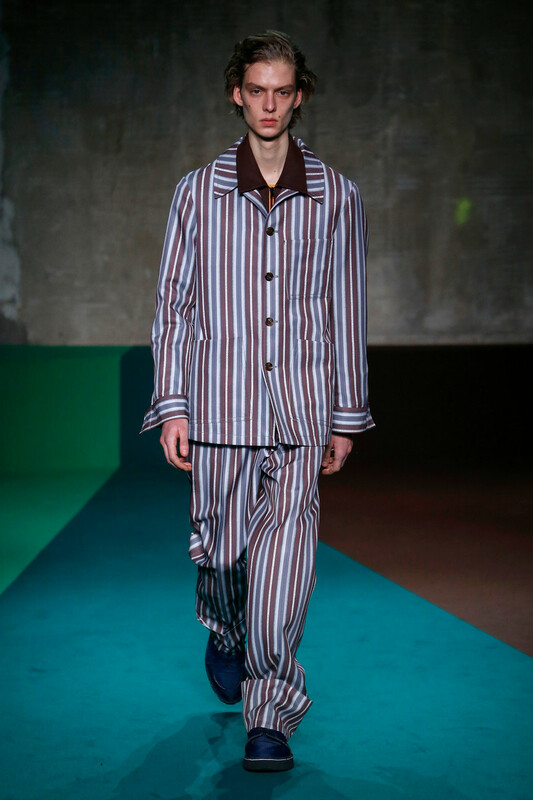 Prada’s collection was all about a return to “reality, normality, simplicity” (as an escape from today’s turbulent times). We’re already feeling nostalgic. 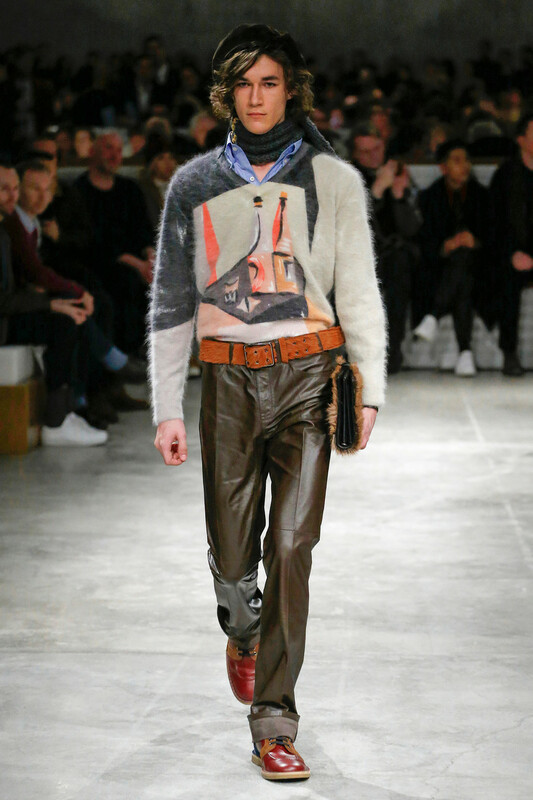 Textures and colors in the mix at Marni. 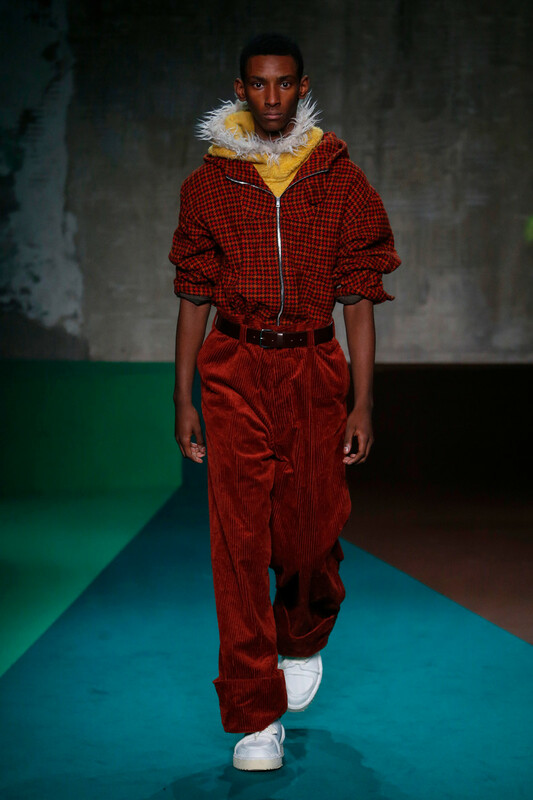 New creative director Francesco Risso’s debut’s collection about checked pleated pants and duo color fur hats (that will no doubt make countless upcoming editorials). 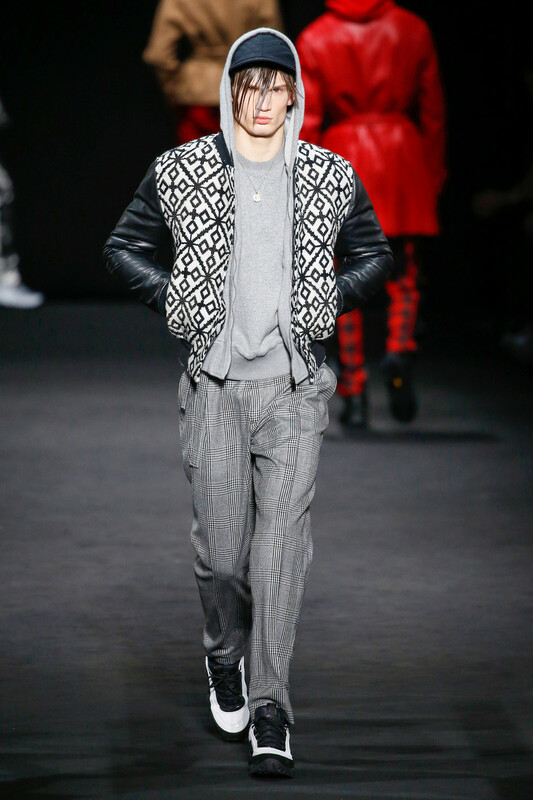 Versace’s men were slick, yet more ‘street’ than ever dressed in their red/black plaid bomber jackets, hoodies, sweaters and sneakers. Donatella’s idea of the ‘brotherhood’ we now need more than ever (in these turbulent times). 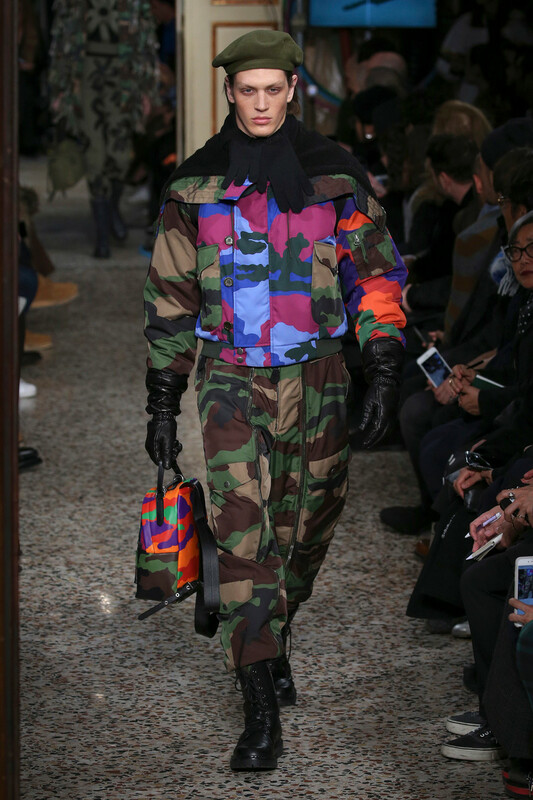 Moschino’s anti army was quite the literal inspiration; a collection filled with army inspired items like the barret, the bullet belt and lots of army green. 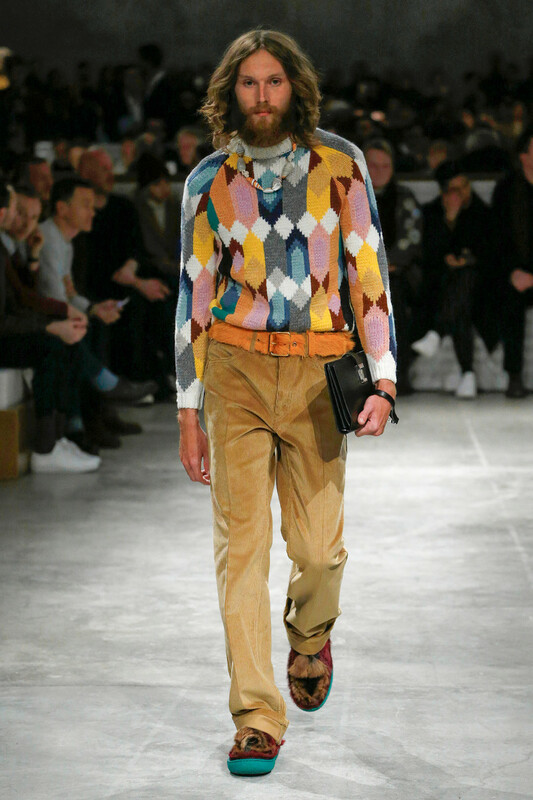 Yet as a contrast to the camo print models wore fresco printed pieces instead. 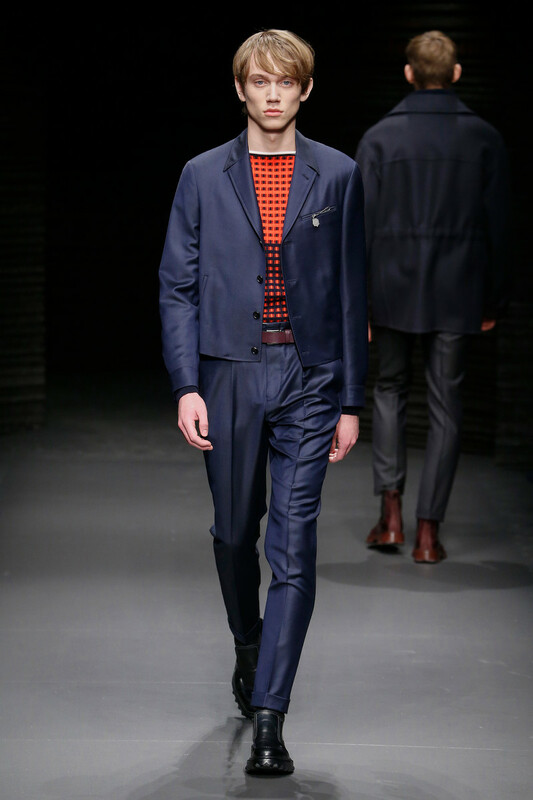 At Salvatore Ferragamo Guillaume Meilland made his debut with a wearable classic collection that had just the right amount of playfulness to it. 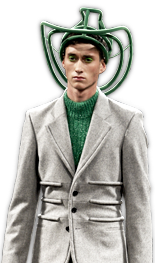 Exquisite tailoring and an on point palette (of grey and burgundy) came through in the cropped jackets, pleated pants and cable knits. 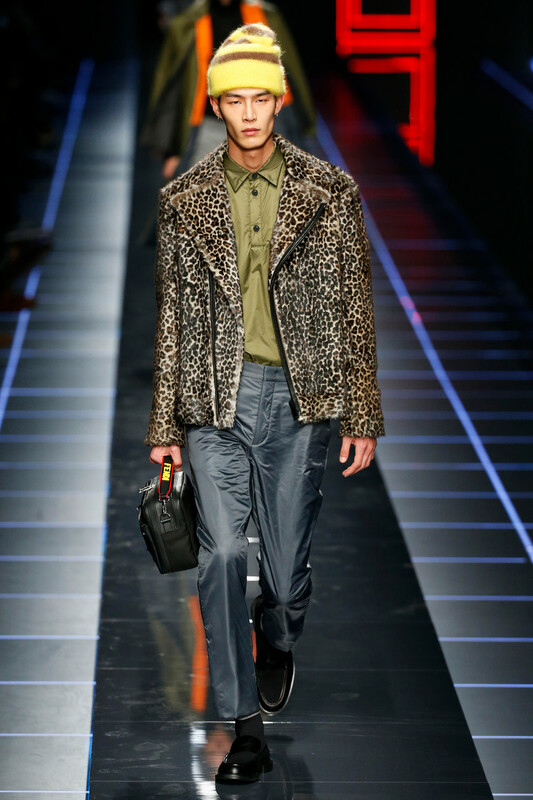 While most women might already be getting a little leopard exhausted, men are still getting their shot next year, if it’s up to Silvia Venturini Fendi. 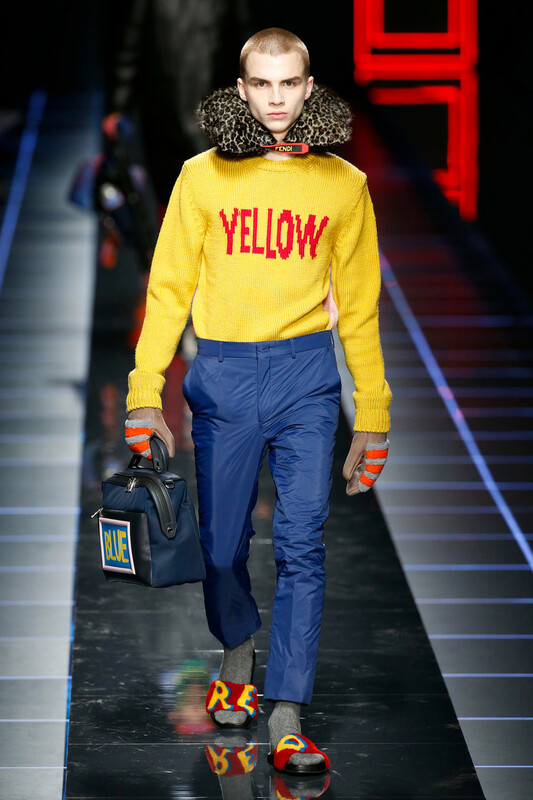 Their collection filled with fur, bright color combinations, texts (like YELLOW and TRY) and leopard prints will surely appeal to a young customer. 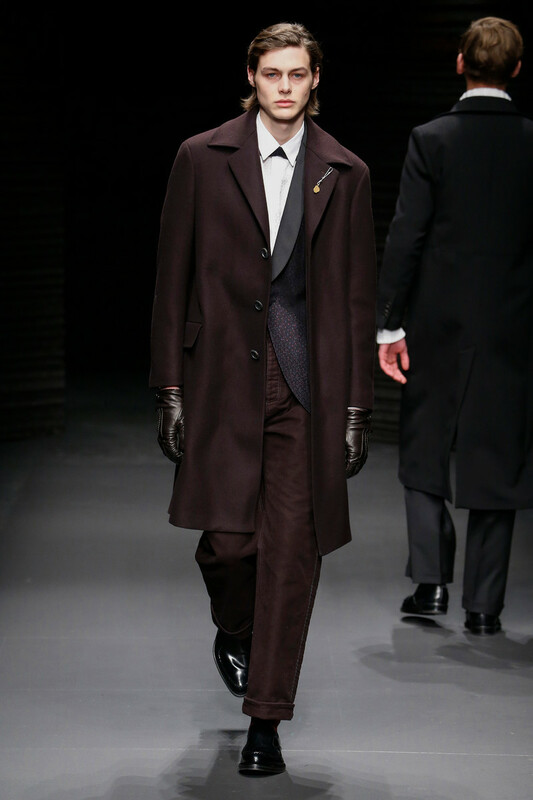 Oh, and it also proved fluffy overcoats can be hot on guys too. 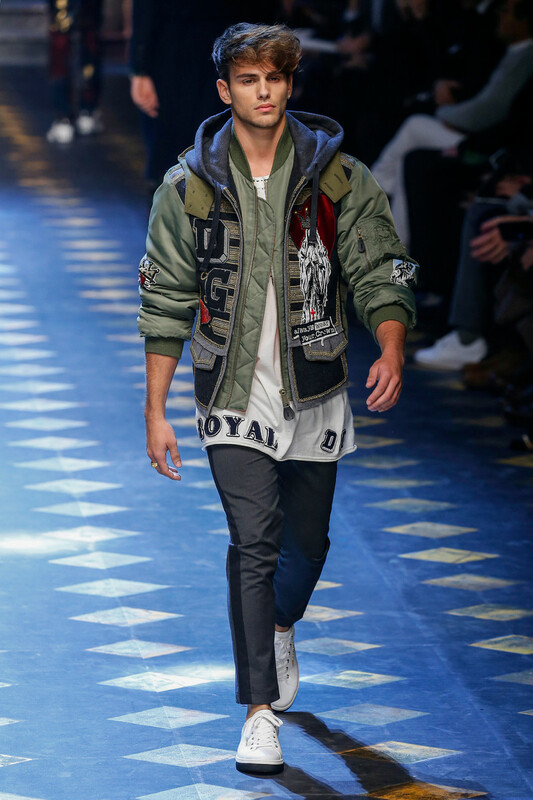 Dolce & Gabbana have officially chosen to go for a hype with every new collection they bring out. Their new work isn’t necessarily about craftsmanship, tailoring and fashion anymore; it’s about standing out, getting likes and going viral. The selfie-savvy generation is their focus customer so he/she gets served. 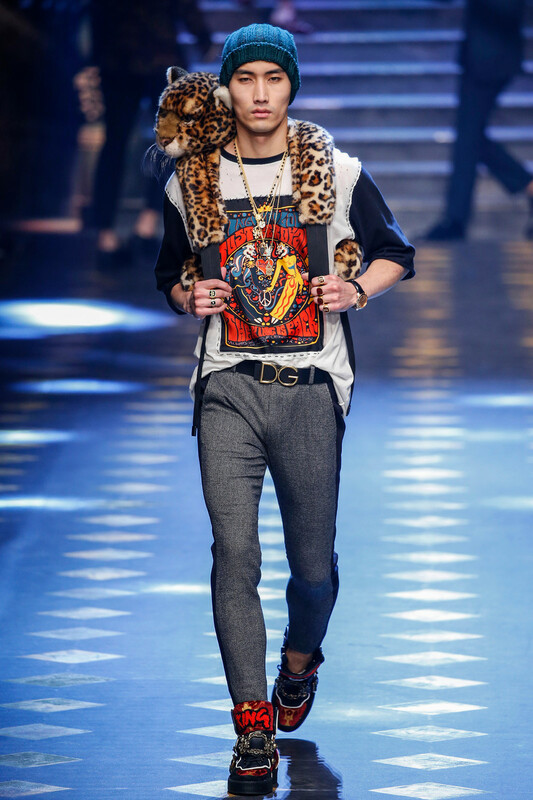 With celebrities walking the runway like D&G princes attented by Insta queens on the front row. Or did you actually want to read anything about the collection?